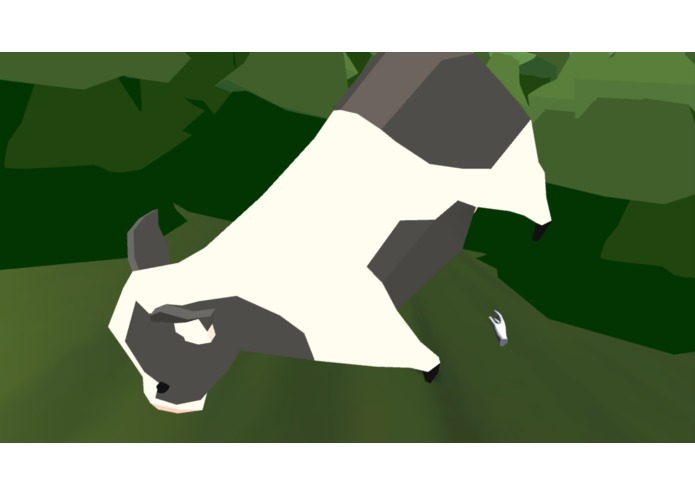 You will find yourself immersed in a virtual world where you can pet Cow at your leisure. Relax with Cow while enjoying the ambient music. 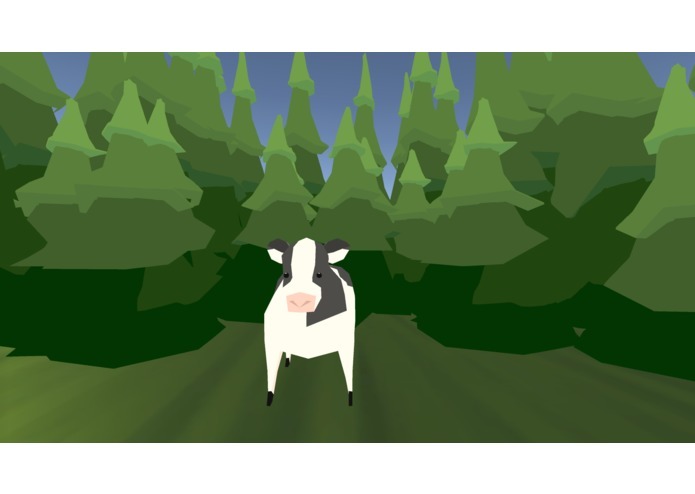 We placed Unity animal and nature assets into a virtual world, and configured Oculus Rift to view this world. We then used the Myo Armband to control a virtual hand that allows you to pet the animals. We did not have any experience with Unity, Oculus Rift, nor Myo Armband, and it was a challenge right from the start to get things working. We managed to have the virtual world and hand movements working separately, but initially we were unable to get both together in the same scene. We figured a way to import the scripts from the hand controls, and got the petting zoo to work! This is our first VR and Myo Armband project, and we learned a lot about both technologies. Support for more animals and having animals react to petting.